The Lasting Memory Foundation participated in the celebration of the Holocaust Victims Memory Day organized in Jodłowa by the University of Rzeszów, Institute of National Remembrance in Rzeszów and the Parish of Jodłowa. 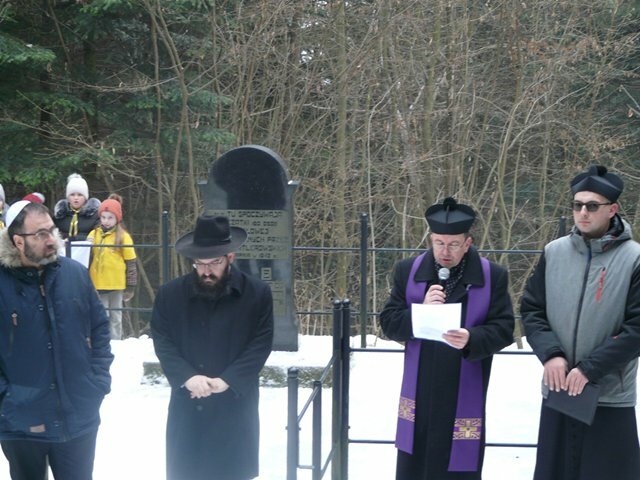 The participants prayed in the nearby village of Przeczyca where in 1942 the Jews from Jodłowa were executed and buried in a mass grave. Afterwards, a scientific session was held concerning the history of Jews in Jodłowa and their customs, Polish-Jewish relations and the Jewish cemetery in Jodłowa. The next part of the Memory Day celebrations included reciting poems by high school students from Jodłowa and the presentation of a book “Ci, którzy byli wśród nas.. Żydzi w Jodłowej” (Those who were among us..Jews in Jodłowa) by rev. dr. Julian Kapłon. 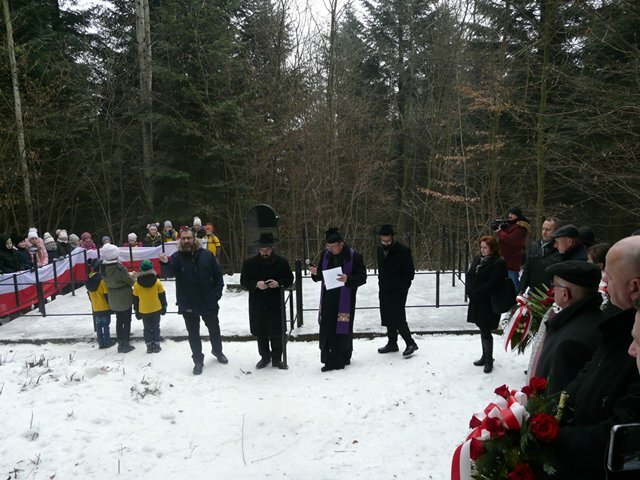 At the end of the ceremony an obelisk was unveiled nex to the church, commemorating the heroism of the residents of Jodłowa who had been rescuing Jews under the German occupation.